Campeggio Siesta si trova a Mendig, Renania-Palatinato. Il campeggio con terreno collinare dispone di piazzole sia ombreggiate che, senza ombra e piazzole poco ombreggiate. Il campeggio dispone di un parco giochi. Ogni anno un ispettore visita il Campeggio Siesta, controllando oltre 200 tra attrezzature e altri punti di interesse del campeggio. L'ispettore è un dipendente ACSI e non lavora per il campeggio. We have visited this site three times now, as it is really handy for the motorway and after visiting the Nurburgring (if you don\'t want to stop at a grubby local site near there). OK the motorway can be intrusive but you get used to it, and the owner is a helpful chap who is really laid back (and perhaps a bit eccentric). It is cheap and cheerful but really handy for the motorway and the toilet facilities have been renewed in the last few years and are spot on. We would visit again without hesitation if we were passing. Small site ideal for transit. Noisy due to proximity of motorway but manageable for transit. Toilets and showers clean and serviceable but no paper or soap. Pitches sloping. We did a couple of circuits of the site with our Motorhome and tow car trying to get a level point on the pitch (we can't reverse with the car on). The lady from the site came out and very rudely then told us to stay on our pitch or leave! As a result we felt very unwelcome and instead of using the restaurant as planned stayed in our van. The pitch was also just a verge on the side of the campsite road with no room to put our awning should we have wished. We were also charged for our car, we don't understand as our combination was no different to the car and caravan combinations surrounding us. Stayed here twice, great location near the motorway. Very good value, excellent showers and toilets. Definitely recommend. Will stay again. Volete prenotare il Campeggio Siesta o oppure saperne di più? Potete farlo usando i seguenti dati. A61 uscita Mendig, a fine uscita a destra per Maria Laach, dopo 100m attraversare il parcheggio a destra. 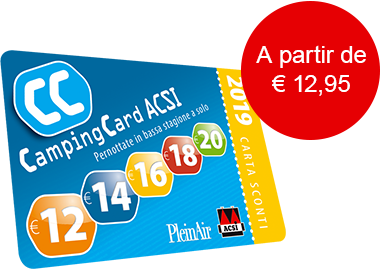 ACSI Eurocampings invia la tua richiesta di informazioni al "Campeggio Siesta".